Simple dish to prepare. Soak and wash szechuan vegetables to remove saltiness, cut into slices or strips. 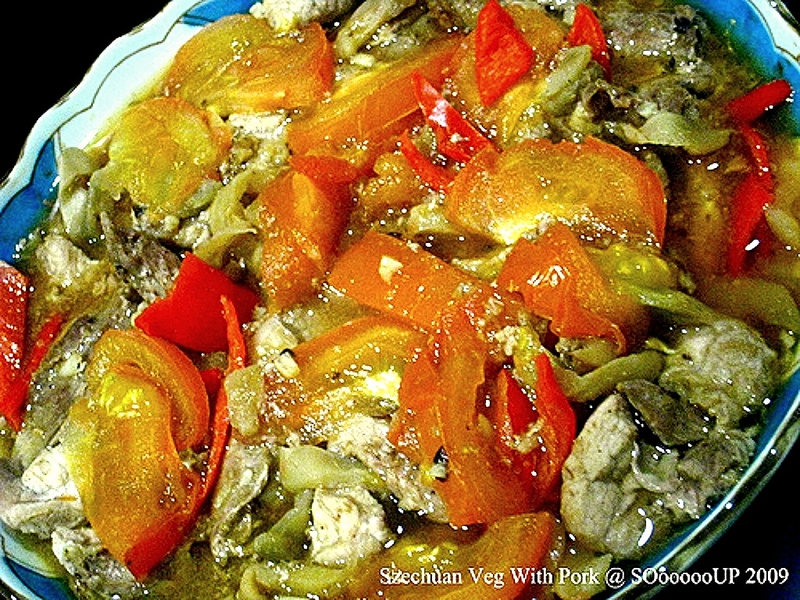 Marinate pork and mix with szechuan vegetables, tomatoes and garlic. Steam over high heat till pork is cooked.